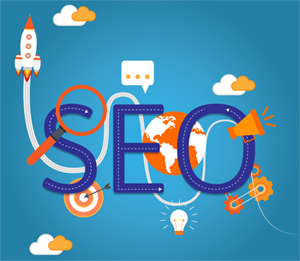 At this stage in the game the majority of businesses and website owners know that search engine optimization is a fundamental part of building an online presence. However that doesn’t always mean they get it right. Not only are search giants like Google constantly changing their algorithms, but many SEO techniques that have been around since the concept was born, are in fact completely ineffectual. In 2015 here are 4 SEO myths that are wasting your time. The idea that ranking in search engines is now irrelevant and SEO is essentially dead, has mostly been floated with the rise of social media and the fact that so many sites have been negatively impact by Google updates like Panda and Penguin. The first theory suggests that because social media has become so big, businesses can thrive only on traffic generated from the likes of Facebook and Twitter. This is coupled with the second theory that Google simply no longer rewards search engine optimization and your strategy should be abandoned. In reality an engaging social media presence is of course very important, but this needs to be partnered with high quality content and an up to date SEO strategy. Those complaining that SEO is dead are mainly those that failed at it, are behind the times or were trying to cut corners, and Google finally caught up with them. As long as search engines return searches, SEO will remain alive and well. Keywords are still the bread and butter of how Google and other search engines operate, but the idea that all you need to do is choose a few keywords and work them in to your website’s content, is grossly misrepresenting the time, effort, and range of technique needed to rank high in 2015. Did you know that since 2009 Google does not even use the meta description and keyword tags as a ranking factor? You could describe your fitness blog as “a giant chocolate elephant,” and it would have no direct impact on your rankings. It will however turn away real users, which should always been your main focus. This is perhaps the biggest misnomer of SEO. The idea that all you need to do is optimize your website for Google’s web crawlers and the traffic will come flying in. The intent of Google has always been to return the highest quality and most relevant content for human users. In the early days of SEO certain loopholes like spamming keywords or paying for tonnes of irrelevant backlinks essentially allowed you to trick the bots in to thinking your site was the best. However in 2015 Google has a highly evolved algorithm that can easily distinguish between high quality content written with users in mind, and spam written just to fool search engines. An intelligent web marketer knows that for real success targeting the user and the search engines is a hand in hand relationship. While anyone with a cursory knowledge of website development can implement some SEO best practises, chances are they would prefer to spend their time doing something else. An online clothes store wants to sell clothes, not rank web pages. The risk of crafting your own SEO plan is that as time progresses, you just won’t stick to it, you’ll get behind on the latest SEO trends, and other areas of your business will suffer. An internet marketer and SEO specialist makes it their job to constantly tweak your SEO strategy and stay on top of the latest techniques. Hiring a professional is still the best option in 2015 for your website. By far the simplest article read and simplest lesson learned. Hope to read more interesting stuff in future. Thanks Sultan. Keep in touch for better stuff!